Potential car buyers may be enamored by all that the Chevy Equinox has to offer. We certainly can’t blame them, as the vehicle offers a variety of features and capabilities that make it a logical choice for families (or just individual commuters). While the $23,100 MSRP on the 2016 model is not unreasonable, it still may be too pricey for some customers. Luckily, there’s still a way for these buyers to get their Equinox: buying used. A pre-owned model could ultimately save you hundreds or thousands of dollars, and just because the vehicle is used, it doesn’t mean it’s any less capable. 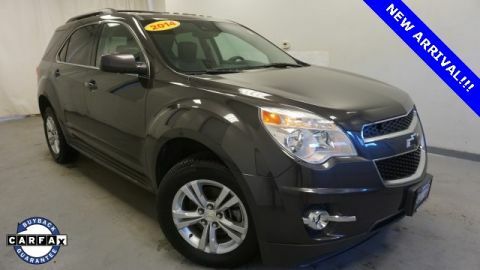 You can still enjoy all of the most recent amenities and technological inclusions, and (thanks to the excellent reliability) you can trust that your used Equinox will last you for some time. Sure, it may not be as rewarding as purchasing a new Equinox, but here’s a little secret: the novelty of owning a new Equinox is one of the lone advantages of not buying new. Otherwise, as you’re about to learn, a used Equinox is actually the perfect choice for those seeking a SUV. Sure, solely focusing on the second generation of the Chevy Equinox does limit your selection a bit, but there are still seven different models to choose from. Therefore, it can be tough to determine which of the model years is right for you. There are several versions of the second-generation Chevy Equinox that stand out in particular. The 2010 model is notable for its place in the nameplate’s history, while the 2013 model should be considered for the incredible V6 engine (and the variety of technological inclusions). Although you may be uncertain which used Chevy Equinox to pursue, you can be sure that no matter which model you opt for, you won’t be disappointed with your choice. This Equinox was notable for ushering in the second generation of the nameplate. Announced back in 2008 (and debuting at the 2009 North American International Auto Show), this new version of the compact SUV used the identical “Theta” platform as previous versions. However, that was the extent of the similarities. A pair of engine options were initially available with the second-generation Equinox: the 2.4-liter Ecotec LAF I4 and the 3.0-liter High Feature LF1. The former was capable of pumping out 182 horsepower and 172 pounds-feet of torque, while the latter saw upgraded specs from its 264 horsepower and 222 pounds-feet of torque. Both of these engines came accompanied by the impressive six-speed automatic transmission and front-wheel-drive capabilities (all-wheel-drive was optional). We’re all fans of new engine offerings, and the 2013 Equinox may have introduced the most impressive unit in the nameplate’s history. For the 2013 model year, engineers unveiled the new 3.6-liter V6 engine. The system could pump out 301 horsepower and 272 pounds-feet of torque, which was a more than 10-percent increase over the previous model. Thanks to the inclusion of direct-injection, drivers could also expect solid fuel efficiency. The 2013 model also saw the introduction of the new FE2 suspension package, which included 18- or 19-inch chrome-clad wheels. Drivers could also appreciate the new Chevy MyLink infotainment system, as well as a dual-player DVD entertainment system. If you’re seeking an SUV, the natural choice is to pursue the Chevy Equinox. Why is that? Well, the vehicle offers some of the best safety scores in the class, so if you were envisioning your new SUV as a family ride, you can be assured that the younger occupants are in safe hands. Meanwhile, the spacious interior will allow owners to fit whatever cargo they need, and the incredible interior dimensions have stayed consistent throughout the second generation’s seven-year run. 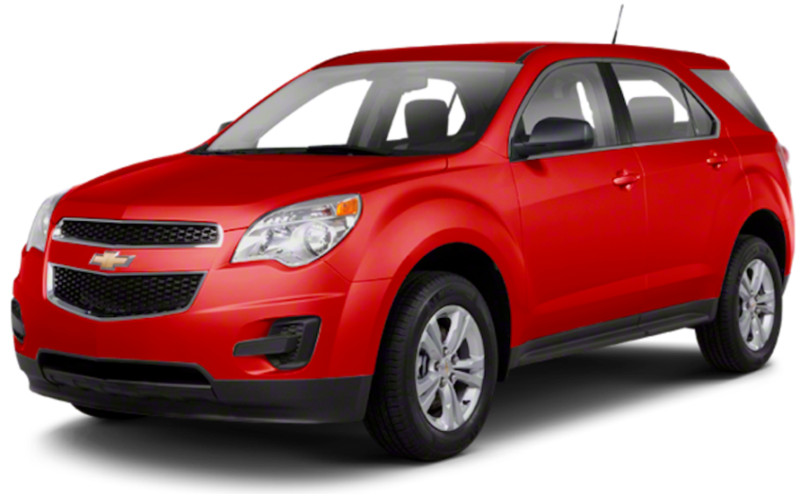 Assuming you want an SUV, there’s really no better choice than the Chevy Equinox. A compact SUV is an excellent choice for families for a variety of different reasons. Perhaps the most notable “family-friendly” feature is the abundance of safety features and technologies. 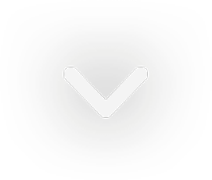 Inclusions like the Forward Collision Alert and the Lane Departure Warning essentially lend another set of eyes to the driver, as the visual and audible cues should keep your vehicle out of harm’s way. Even the rear-vision camera comes in handy, as the unit allows you to monitor all of the objects positioned behind your SUV. When you take all of these functions into account, you should have a better understanding of why the 2015 version earned a four-star safety rating from the National Highway Traffic Safety Administration. The nameplate also earned the best-possible rating in each of the Insurance Institute for Highway Safety’s five safety tests. Buyers naturally expect plenty of interior space from their compact SUVs, but they surely couldn’t have anticipated the versatility that the Equinox provides. The 60/40 split-fold design allows for maximum flexibility, as drivers can better utilize the 63.7-cubic-feet of cargo space. Even better, there are several storage compartments hidden throughout the interior, so drivers will never have issues fitting their valuable cargo. Believe it or not, that previously-mentioned 63.7-cubic-feet of cargo space has been consistent in each of the Equinox’s second-generation models. Regardless of what model year you opt for, you’ll still be able to appreciate that spacious compact SUV interior. 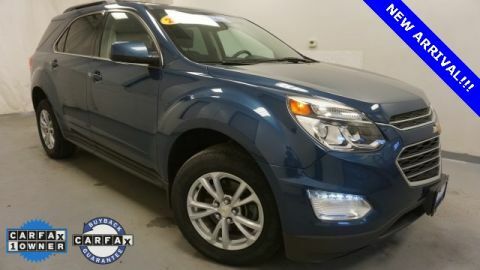 Why Buy a Used Equinox? This is a natural question, but the answer isn’t as obvious. There are several incentives to pursuing a used vehicle, and there are advantages to opting for a used SUV, specifically. Used vehicles are understandably more affordable than their new counterparts, but we’re not simply referring to a five or ten-year-old ride. By opting for a 2015 model, you’ll still find that you’re saving a whole lot of money over the 2016 version. You’ll still benefit from all of the newest innovations and capabilities at an excellent price, with the lone downside being the mileage (although the presumed mileage is merely a fraction of what your SUV will ultimately travel). Plus, the Equinox has consistently earned high marks for its reliability, so you should expect that “used” SUV to last some time. When it comes down to it, the positives definitely outweigh the negatives. If you’re seeking a compact SUV to accommodate your growing family (and all of their accompanying cargo), you’re surely operating on a budget. Instead of pursuing a vehicle that’s less competent, you could opt for a perfectly capable used version of your targeted nameplate. While this sentiment certainly applies to older rides, the same can be true for recent model years. 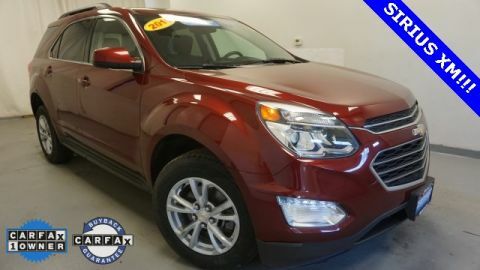 A used 2015 Equinox is just as capable as a new 2016 version, but at a fraction of the price! With your looser budget, you now have several opportunities to add amenities that were previously unaffordable. If you were hoping to add a new stereo system or exterior features, you should have the extra money to do so. Who knows? You may even come across an Equinox that’s full of all the most innovative (and priciest) amenities that brand has to offer. While adding these amenities to a new ride may stretch your budget, you may find that these features will fall into your lap on a used SUV. Each year, U.S. News & World Report publishes its reliability score for each nameplate. Since the publication began producing these ratings back in 2007, the Equinox has consistently earned some of the best possible scores. In regards to second-generation versions of the vehicle, the compact SUV has earned at least a four-star rating over the past five years. What does this mean for a car buyer? Well, despite the fact that you’re buying used, you should still expect your Equinox to last a while. Plus, if you have teenage children, you could hand the vehicle over when it comes time for them to earn their licenses. Of course, an important factor in securing a great deal on a used Equinox is the dealership. Well, if you live in the Albany, New York area, you can be assured that you’re receiving the best possible deal at DePaula Chevrolet. The business offers an array of new and used Chevy vehicles, and the helpful sales team will assist you in finding the perfect ride. The finance department will assure that the vehicle will fit within your budget, and the service department can fix any problems you may run into. 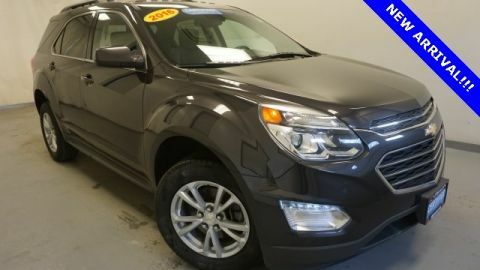 To put it simply, DePaula Chevrolet is the perfect place to purchase (and service) that used Chevy Equinox.